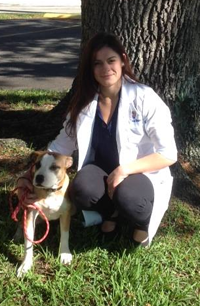 Dr. Meg Formoso is a 1996 graduate of the University of Florida's College of Veterinary Medicine. 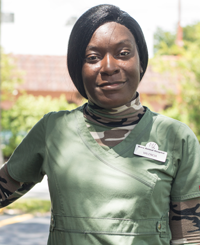 Growing up in Plantation, she knew from an early age that she would pursue veterinary medicine. Active locally, Dr. Formoso is the founder of "Let's Be Vets", an outreach program that brings the joy of animals and veterinary medicine to children at Kids in Distress in Wilton Manors. She shares her home with lovable Lab, Rex, and the demanding but beautiful Sasha, a Bichon Frise. Married to high school sweetheart, Juan, she has two children, Diego and Marlena. When time allows, Dr. Formoso enjoys gardening, Gator football, and relaxing with friends. Dr. Erika Blanco was raised in Kentucky, the "Bluegrass state". She received her Bachelors of Science degree from the University of Florida in Food and Resource economics and attended Ross University School of Veterinary Medicine in St. Kitts. While at Ross, she was very involved with several student organizations and helped start the Ross Student Wellness Committee, an organization that focuses on mental health of veterinary students. Dr. Blanco was awarded the AAHA Proficiency in Preventative Medicine award, as well as the Joseph Wilder Excellence in Surgery award. 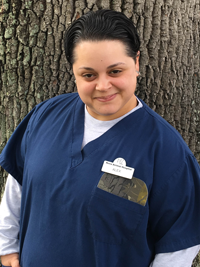 Dr. Blanco completed her clinical medicine and surgery education at the University of Florida College of Veterinary Medicine. 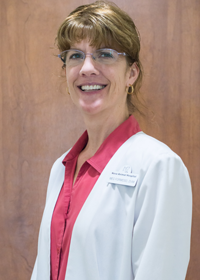 Her professional interests include soft tissue surgery, preventative care, emergency medicine, exotics, and small ruminant medicine. 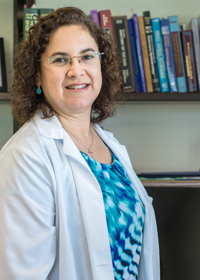 In her spare time, Dr. Blanco enjoys Olympic weightlifting and competes in Crossfit. She also enjoys spending time with her husband and their two dogs Donut and Zoey, and their "non-furred" family- a kingsnake, a pacman frog, and many fish in a large freshwater community tank. 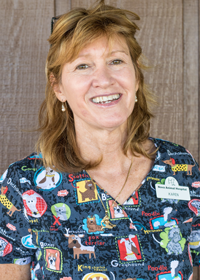 Karen started at Nova Animal Hospital in the winter of 2013, but has been working in the veterinary field since 2000, which has given her much experience and knowledge about pets. She is from Dania, FL and lives with eight rescued cats and four parakeets. Her favorite part of working at Nova is caring for new pets and new people. Blanche is originally from New York, but calls Davie home. She brings over 16 years of client service experience. She currently has one cat, Roxy, but has shown dogs in both the Conformation and Obedience Show Rings, and has taught Dog Obedience Training classes. 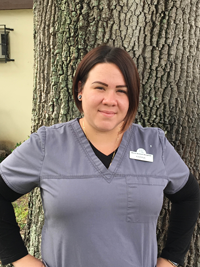 What she enjoys most about our animal hospital is being able to help people with their pets. Danielle grew up in Ft. Lauderdale, but her studies took her to Colorado to train at Bel-Rea Institute for veterinary technician training. She is a Certified Veterinary Technician. She now has been working for nine years in the veterinary field. She particularly enjoys assisting with surgeries and dental cleanings. At home she has one cat and a Labrador retriever. On her spare time she enjoys riding her horses, Baby and Dillon. 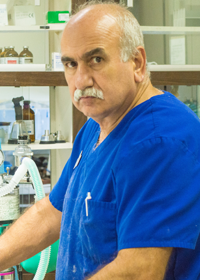 Originally from Bulgaria, Stoyan has been in the veterinary field for 28 years. He has three dogs, two cats, three birds and 10 fish and has previously worked with large animals. On his days off, he enjoys spending time with his grandchildren. Valencia is born and raised in Fort Lauderdale. 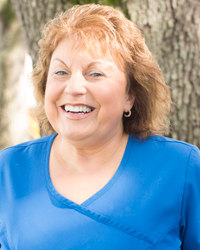 She has worked in the veterinary field for 12 years, and always looks forward to greeting patients and clients. Valencia has an African Grey parrot, and a new pit bull puppy named Erica Kane. Eileen is from Dania Beach. 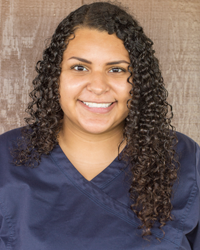 Growing up with pets is what sparked her interest in the veterinary field, which she has been working in for 3 years now. She enjoys coming to work and knowing that it's a new day to help a pet in need. After spending 7 years in the United States Navy Karina decided to change careers. She attended Sanford Brown and attained an associate's degree in veterinary medicine. She enjoys above all else spending time with her son Gabriel and her two dogs Henry and Bently. 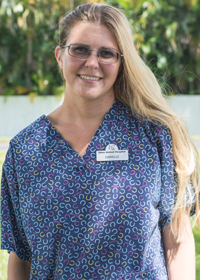 Alex is a south Florida native, with over 19 years in the animal biz. She starting working with animals at the age of 14 where she volunteered at the Humane Society. She has 4 cats and a dog named Omelette! When not surrounded by the 4 legged variety, she attends Broward College and enjoys Gaming.